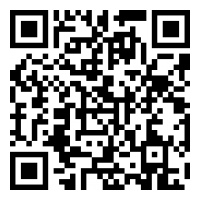 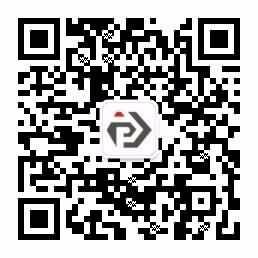 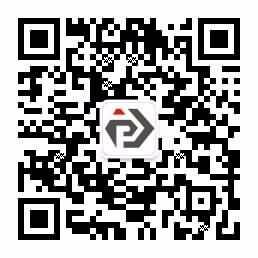 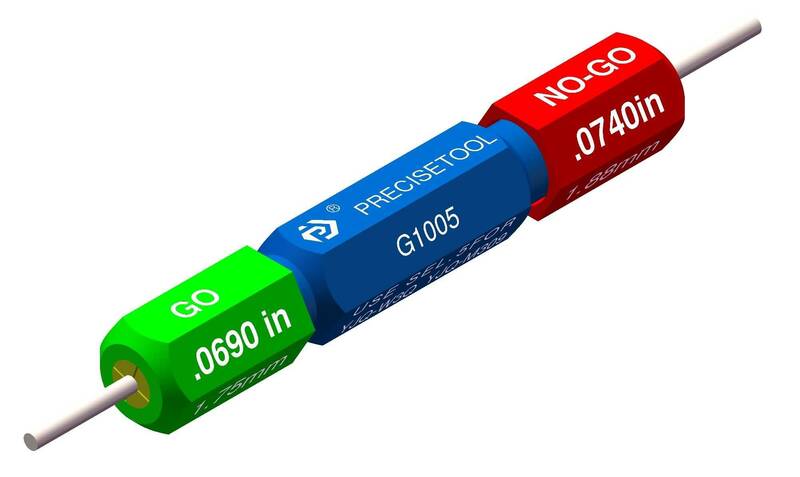 PRECISETOOL KIT5129 GO/NO-GO Gage Kit-Jiaxing Jingrui Instrument & Equipment Co., Ltd.
3. 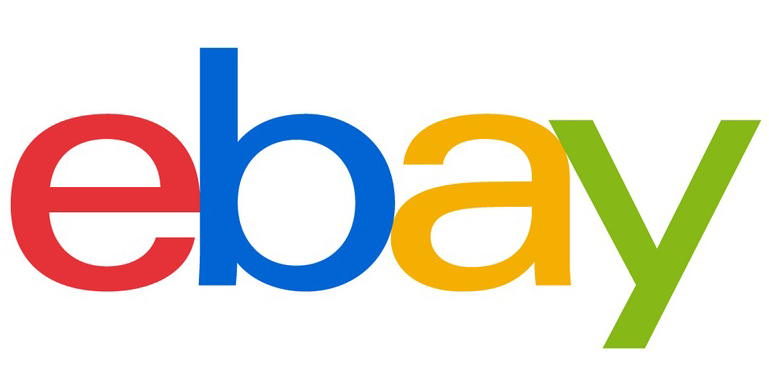 Validity detection: Operate the tool to the fully closed position. 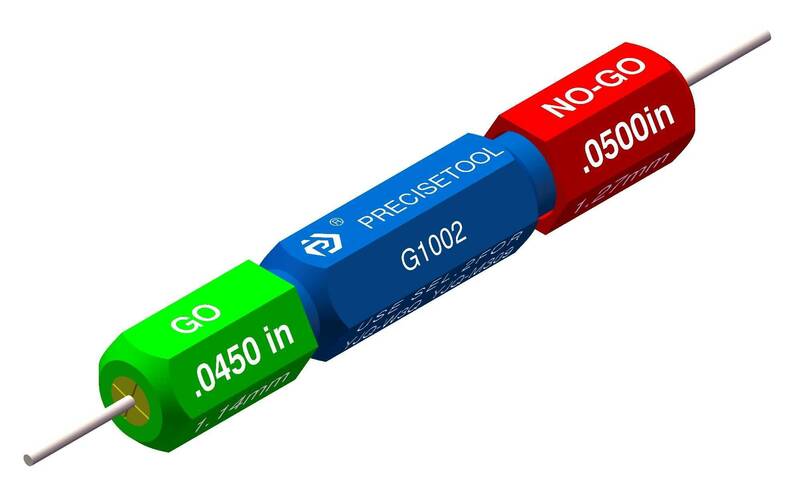 The"GO"gage end (Green) can pass freely, but the NO-GO end (Red) can not pass completely. 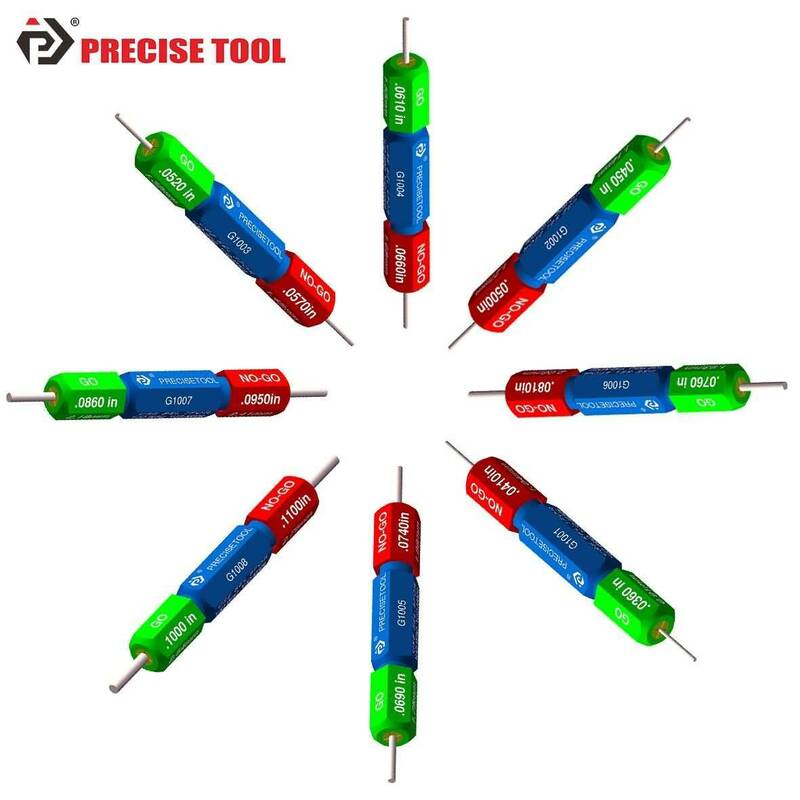 The tool kit includes eight gages, used for the detection of indenter working diameters of PRECISETOOL YJQ-W3Q, YJQ-M309 crimp tool; The validity detection of indenters: operate the tool to the fully closed position. 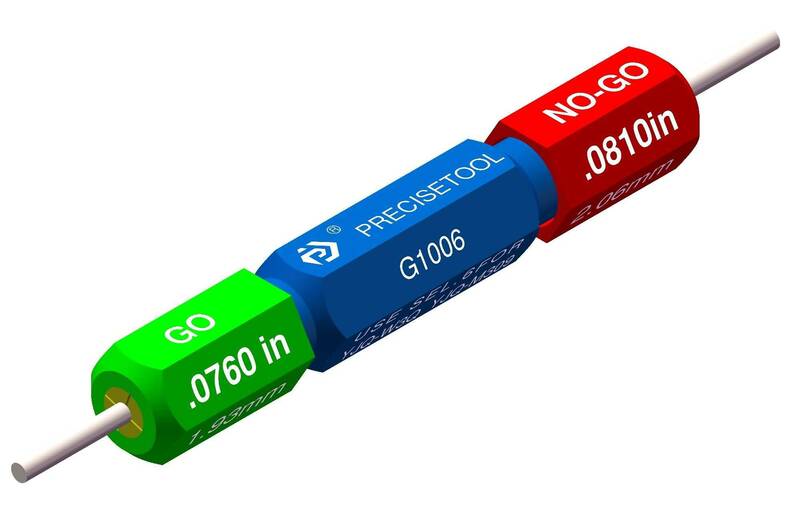 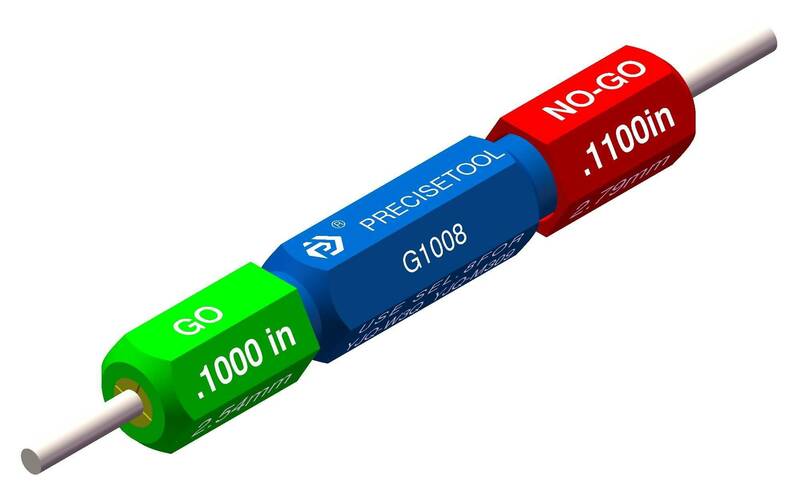 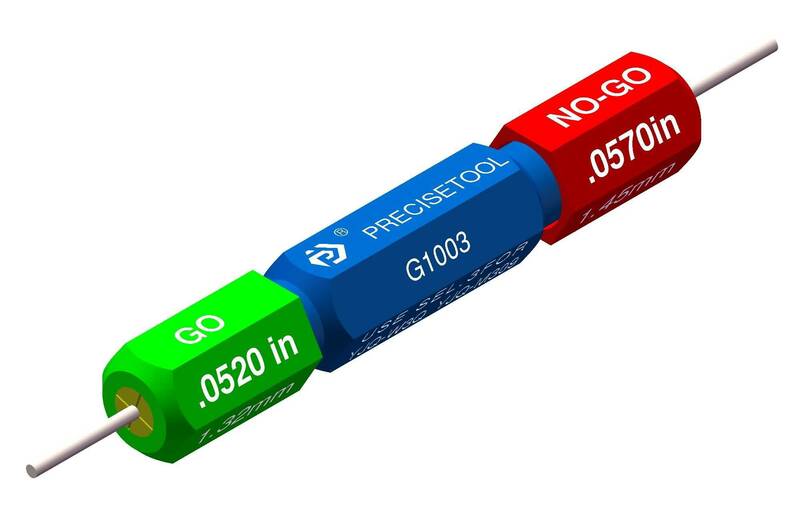 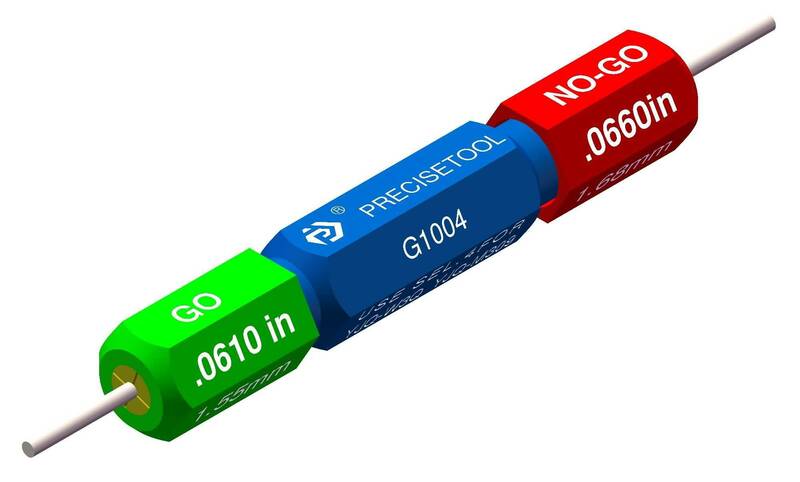 If the selector is right, the “GO” gage end (Green) can pass freely, but the NO-GO end (Red) can not pass completely. 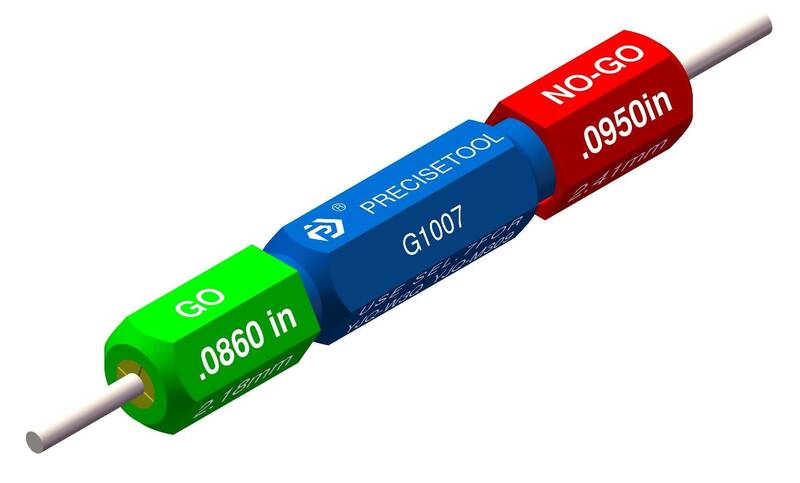 If the red end can also pass, the selectors of this crimping tool needs to be recalibrated.